This is total distortion of what I said. The term rank idiocy was applied to a man called Jim McDonald who suggested it was possible that some lower ranks ‘used captured LTTE cluster bombs’. I am grateful to Groundviews however for having, in their careful study of what I write, drawing attention to this article. It makes it clear that even Jim McDonald accepted that the LTTE had used cluster bombs. For him to claim then, in order to justify his determination to condemn the Sri Lankan forces, that what might have happened is that the Sri Lankan forces used captured LTTE cluster bombs is indeed the height of lunacy – which is perhaps even within Amnesty they began to tease Jim McDonald about his strange logic, and called him the ‘cluster bomb’. It is useful, in the present controversy, to quote at length from my 2009 article. I should note too that several years ago I pointed out individuals who I believe had a destructive agenda. One was Rama Mani, who had to leave, despite the best efforts of the establishment trying to keep her. Sadly the advice I gave about Guy Rhodes and Gordon Weiss was not taken. It was much later that Wikileaks revealed that one of the principal sources of American charges against us was Guy Rhodes, and I suspect this fed into the contributions by Steve Rattner, who began by assuming that we were an apartheid state. 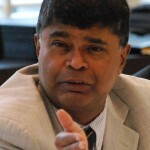 I can only hope that, now I have pointed out, on the same basis of logic, one more dangerous enemy to the Sri Lankan state, that my arguments are not ignored as happened with regard to Rhodes – who leads a mine action group and shared a platform recently with Alan Poston, an email from whom is now asserted to be a UN report. I am reminded of the manner in which a statement by Gordon Weiss was used three years ago to shore up the claim that the Sri Lankan forces had used cluster munitions, whereas even Weiss was not quite so categorical in his claim. ‘Their latest recruit to this game is a man called Jim McDonald, who has now emerged as their spokesman. He did not seem to have much of an identity, because unlike Foster and Zarifi he was never quoted in his releases, but now the reason for this is clear. Unlike those two, who are clever but devious, it is obvious that when he opens his mouth it is only to put his foot into it. ‘It is interesting to read that the UN apologised, when they never accused the Sri Lankan military in the first place of being the one to use the cluster bombs. Nor did the AI press release say that the UN had accused the government of doing so. Do the army commanders in Colombo know for a fact that some lower ranking officers or troops in the north didn’t use the cluster bombs? If the army says that they’ve never ordered the bombs so they couldn’t have used them, therefore the LTTE must have been the ones responsible, is it possible that some lower ranks used captured LTTE cluster bombs? I’m not at all saying that this is what happened. But if the LTTE had the bombs and if the army’s been capturing lots of LTTE equipment lately, is it possible? If you were the army commander, wouldn’t you want an investigation done to make sure that none of your forces up in the north could have been responsible? This is casuistry combined with rank idiocy. McDonald first asserts that the UN did not accuse the government of using cluster bombs. It was therefore obviously deliberate sleight of hand on the part of Amnesty to juxtapose the two sentences so as to suggest to readers that what the UN spokesperson said justified its initial denunciation. If it is now saying that the reports were from elsewhere, perhaps it could come clean by telling the world on whose word it was denouncing Sri Lanka. I don’t suppose however that Groundviews will dream of apologizing for their perverse characterization of what I said. Like MacDonald, they will twist whatever lies at hand to achieve their ends. The use of cluster bombs is not refuted. But who used them? – LTTE or SLArmy is the quetion. Rajiva accuses Groundviews of reporting what he said. Use of THERMOBARIC weapons too were reported. For reports, please click’thermobaric bombs sri lanka’ on google. Am unable to download/quote all of the reports. Oh, Dr. Rajiva. You and Dr.The Yarn have sold your souls to the government for a mess of pottage. The Puthukudiyiruppu area was under LTTE control almost until the end of the war. Now you want us to believe that the LTTE fired cluster munitions straight up in the air, using artillery pieces so that the bomblets would fall amongst the Tamil civilians, killing them. And one fine day three years later, the unexploded cluster sub-munitions would be discovered by UN de-miners who would put the blame on the Silly Lanka government and it’s armed forces. Another international conspiracy hatched between the evil LTTE and the evil international community to tarnish the image of the government and it’s armed forces right? We have heard tall stories of how there were only 15 thousand or so Tamils in LTTE held areas according to government reports during the war, which in the end turned out to be 3,00,000 plus civilians. We have heard tall stories of “zero casualties” which finally changed to around 8000 plus Tamil civilians killed. Hey Duncy, why are you cutting and pasting your same comment after adding Rajiva’s name? So let me cut and paste the same response I gave you on Groundviews. Dear Dunce, I have said no such thing. You must address your question to jim McDonald of UNDP, since it is he who has claimed the Tigers used cluster munitions, not I. Please stop making a further fool of yourself than you already have. It is not white vans you need to fear in using your real name, but the derisive laughter of people who think you are a dunce. Your knowledge of artillery tactics are only equalled by your knowledge of SL itself. It is not necessary to fire a weapon into the air for its projectiles to be discovered in the vicinity. Nor does the proximity of Tamil civilians preclude the fact that the Tigers would endanger them or willingly attempt to harm them as they have done umpteen times before. Finally, there is no indication that the cluster munitions (if indeed they even exist) are expended rounds or unused rounds. Today’s Sunday Leader says that when it contacted UNDP HQ in NY, they were told that the UNDP has had no official report of such a discovery of cluster munitions from their Colombo office, and the only thing they have heard about is the AP report. 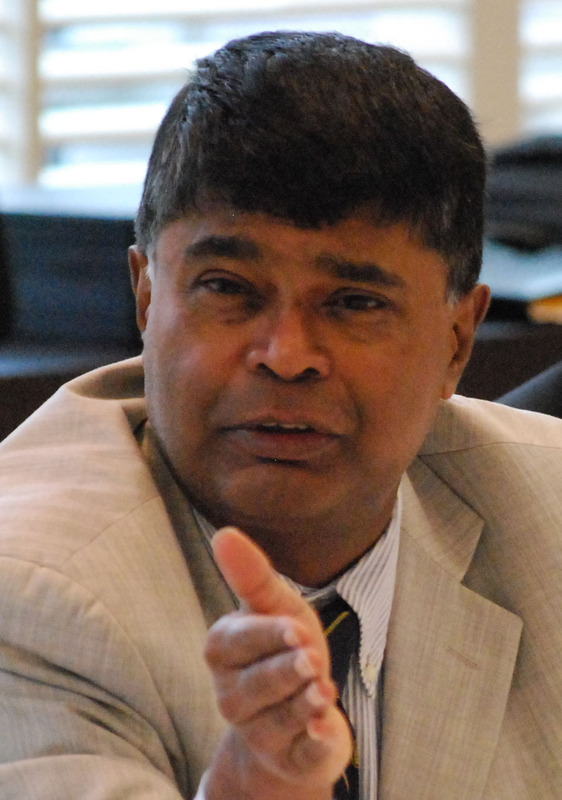 When the newspaper contacted Mr Poston (who it is alleged made the discovery), he refused to confirm that he had made such a claim and suggested the questions be put to the UNDP office in Colombo. The head of the latter was apparently “unavailable” for comment. Does this sound like the strong evidence you are saying it is? Well, most of us have heard a boy shouting “War crime! War crime!” since 2009. No one really takes him seriously anymore. Lol, again, is your logic that if someone has lied once, they must be assumed to be lying now? Again, what has this got to do with the perfectly legal use of cluster munitions, and the GoSL’s denial of it? Really? Can you point to any such footage of the abuse of civilians? As usual your ignorance of even the basics of your so-called “argument” is ludicrous. Are we to take it that your only response to any of my questions is to rant about random unrelated actions that you THINK the GoSL has done? The last self – proclaimed interlectual who would like to survive in MR´s govt and still writes something with an expectation someone could believe him and his boss would reward him, is beaten by readers. poor guy. Good luck. What do you do afterwards Mr Rajiva? When the thermobaric missiles were found at the safe house at the Millenium City Housing Complex by ASP Kulasiri Udugampola after he raided the premises on the look out for Lohan Ratwatte who was absconding after massacreing ten Muslim youth, had reported of the raid to the seniors concerned prior to the raid. When the Police found Thermobaric Missiles instead of Lohan Ratwatte, the JVP supporting the PA started to hammer RW and the UNP that they had leaked information of security. The fact that the Forces were using offensive weapons not only against the LTTE but tried to annihilate the UNP leadership and put it on the LTTE failed missarably. The result was that ASP Kulasiri Udugampola is still under interdiction as the AG’s office is unable to pin blame on him thus dragging the case. This is Justice a` la carte Sri Lanka. ltte killed every critic its psychopathic violant subversive actions like rajive,premadasa and many.genocide against srilankan like hitler practice to killed jews.use cyanide to kill their own tamils.what tamils expect to kill ltte by lethal injections in a war.crazy tamils? LTTE imported illegally in their ships all the prohibited weapon and they have used some of them against the SL security forces, who were then smart enough to enter deep into LTTE territory and eliminate them. Unfortunately the UNP leadership created a bogus story and divulged the names and addresses of those security forces, with the help of ASP Udugampola. The result was that the LTTE hunted down the security forces involved, one by one with only a few escaping overseas. Did the UNP leadership deliberately sacrifice the security forces in order to get favours from the LTTE? A figment of imagination in the minds of the KVP who at that time was working with the UPFA and the very Forces they killed in 88/89. Why have the safe house in Colombo? A safe house by connotation is a premises maintained within the enemy territory or in very close proximity. This famous ‘names list’ of the Intelligence is bandied by the JVP, as if this list was pasted on the door of this safe house for ASP Udugampola to pass it to the enemy. If at all the JVP may have done so for the anger the way the Forces dealt the JVP and annihilated them. Why should the UNP sacrifice the Forces when the Forces were responsible for saving the country from the dreaded JVP and the LTTE? what the big different when it comes to killing pests? Cluster bombs or Napam bomb you have to get rid of them. Mr. Bodinayake, is it not, what is sauce for the Goose is sauce for the gander also? If so the JVP pests when they were annihilated in ’90, why is it that those who escaped, from various corners of the globe today shouting blue murder at Batalanda to tarnish images without proof, because if they had evidence they would have got a conviction from the Commission of Inquiry? What more can one expect from a spin mill like ground views of Anjanam Eli of Hathopole gagaththa.